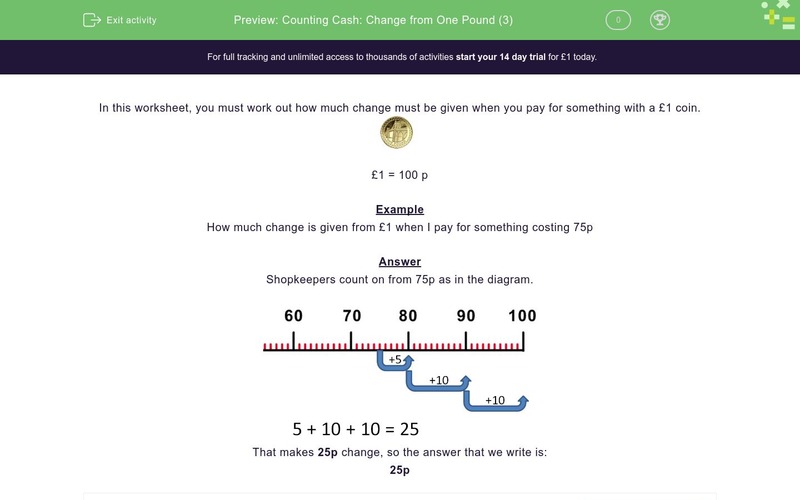 In this worksheet, students calculate change given from £1 for each of the given amounts. In this worksheet, you must work out how much change must be given when you pay for something with a £1 coin. Shopkeepers count on from 75p as in the diagram.